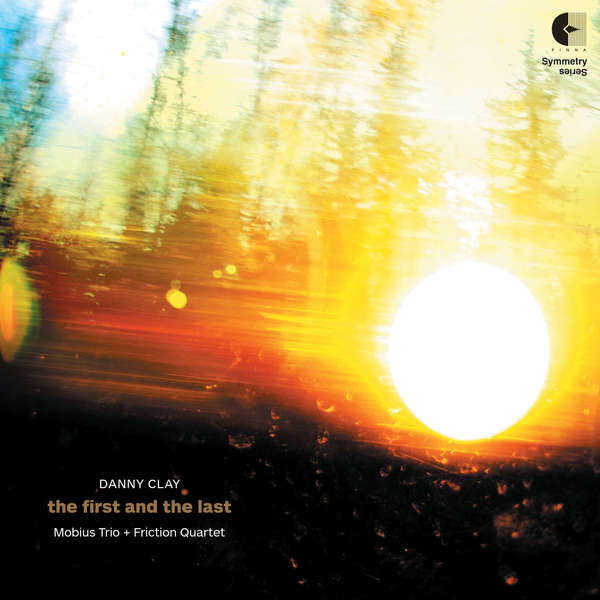 In Danny Clay's the first and the last, the combined forces of guitar trio and string quartet propel the listener through a constantly-changing emotional landscape. the first and the last was written for a one-time performance at the Hotel Utah in San Francisco by two groups of dear friends: Mobius Trio and Friction Quartet. It was written at a time when I wasn't sure if I would be staying in San Francisco for much longer—there was a strange electricity in the air. What I wanted most was to write a piece where every note was bursting with joy, gratitude, and love. Danny Clay and musicians from Mobius Trio and Friction Quartet at the recording session for Danny's the first and the last for guitars and strings.